TED Fellow and two time James Beard Award winner (with a recent 3rd nomination! 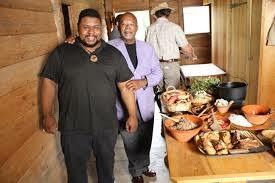 ), Michael W. Twitty covers race, culture, food, faith, history with an extra dose of truth. Michael takes you on journey through the practical arts of food sourcing and cookery through the lens of a colonial or antebellum era African American cook. He will take the audience from lecture to discussion on the ways that traditional West and Central African food traditions met and melded with each other, those of indigenous peoples and Western Europe and then morphed over decades into centuries. Michael discusses the history of the cuisine as an extension of the foodways of Africa in early America with emphasis on the cooking techniques, cultural transformations, and flavor principles unique to this translation of Western cuisine by early African American chefs. Food justice, social justice, environmental justice, food sovereignty—and entire language has developed around how we want to see and live in a better world where fairness and right action prevail. In an extension of these concepts, Michael has begun to promote his notion of culinary justice—the idea that historically oppressed peoples have a right to authority, sovereignty, prosperity and acknowledgement in their contribution to national and global foodways. Join Michael for a lively discussion to explore the way the preparation of food unites and divides out narratives and how we can use it for the good. Articles about Michael in JTA, NPR, The Washington Post, The Guardian, the Mountain Xpress, New Haven Independent, Garden and Gun, GW Today, and the Times Dispatch. Southern Living magazine named Michael one of the top 50 people changing the South. Michael W. Twitty is a recognized culinary historian and independent scholar focusing on historic African American food and folk culture and culinary traditions of historic Africa and her Diaspora. 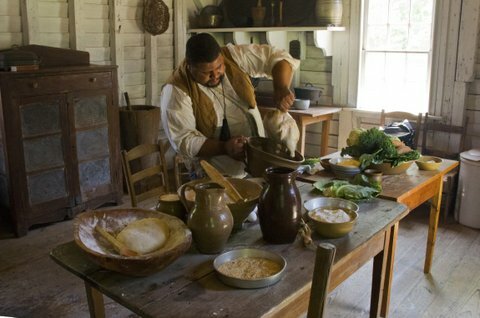 He is a living history interpreter and historic chef, one of the few recognized international experts of his craft—the re-construction of early Southern cuisine as prepared by enslaved African American cooks for tables high and low—from heirloom seeds and heritage breed animals to fish, game, and foraged plant foods to historic cooking methods to the table. Michael founded www.Afroculinaria.com, the first website/blog devoted to the preservation of historic African American foods and foodways. He has conducted over four hundred classes and workshops, written curricula and educational programs, giving lectures and performed cooking demonstrations for groups including the Smithsonian Institution, Colonial Williamsburg Foundation, Carnegie-Mellon, Thomas Jefferson’s Monticello, Library of Congress, the Association for the Study of Food and Society, and Oxford University’s Symposium on Food and Cookery. He has been profiled in the Washington Post and Washington Prost Magazine, the New York Times, Grist, PittsburghPost-Gazette, Cuisine Noir, Baltimore Sun, Chicago Tribune, Jet Magazine, Ebony.com, and other periodicals. He has also been interviewed multiple times on NPR including the acclaimed food program The Splendid Table and Poppy Tooker’s Louisiana Eats. In 2013, he made several major appearances on television connected to his work including Bizarre Foods America with Andrew Zimmern, PBS’ Time Team America, and Many Rivers to Cross with Dr. Henry Louis Gates. Michael was one of 20 people selected globally as a 2016 TED Fellow (you can hear his talk here). His book, The Cooking Gene, won two James Beard Awards in 2018 for Food Writing and Best Book and his piece in Bon Apetit, I Had Never Eaten in Ghana Before. 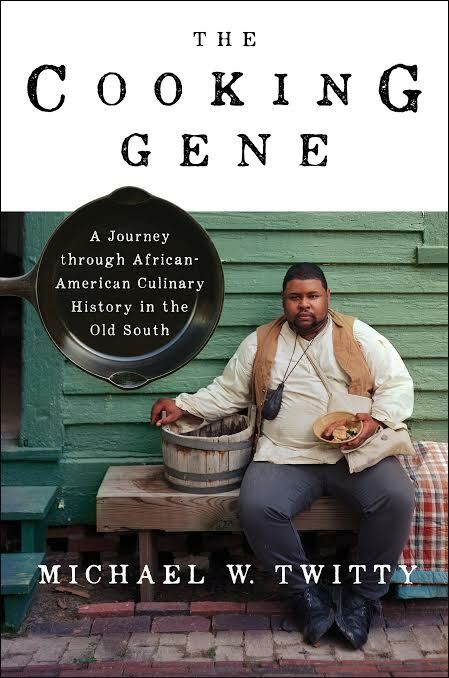 But My Ancestors Had was nominated for a 2019 James Beard Award and was selected to be included in The Best American Food Writing 2019. Michael’s next book, Kosher Soul, is slated for December 2019 publication.